Owning a mutt is advantageous for a few reasons. They’re outbred dogs so they usually won’t have any of the breed specific health issues common to purebred dogs. They are numerous, and much cheaper than a certified full blooded animal, and they are often extremely well-adjusted pets that make for grateful companions. However, you don’t get the added benefit of extensive breed history or managed expectations due to your wide breadth of knowledge concerning a particular animal bloodline. The other less tangible drawback is your own curiosity. Owning a mixed dog breed often leads to a lot of speculation. You’re always wondering whether that short snout is a sign of a pug or a bulldog. Is that curved bushy tail more reminiscent of a huskie or a retriever? Luckily, the answers to these frustrating questions have been available since 2007 and are becoming increasingly affordable to purchase. We’re talking, of course, about DNA tests for dogs. For the last 6 years several veterinary corporations have been offering blood or cotton swab tests that offer to determine your pup’s hereditary history for a nominal fee. These tests don’t claim 100% accuracy, but they do offer enough exactitude to clear up any dinner table debates about a mixed dog breed. The major player in the game of breed determination is actually a candy company. Isn’t that sweet? Mars Incorporated, maker of Mars bars, Snickers, M&M’s, and Milky Way’s—all of which will ironically kill a dog—also owns a very large pet-care division called Mars Veterinary. 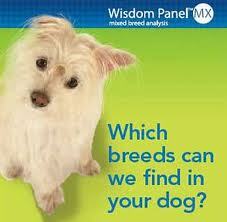 Mars Veterinary has a product called the Wisdom Panel. 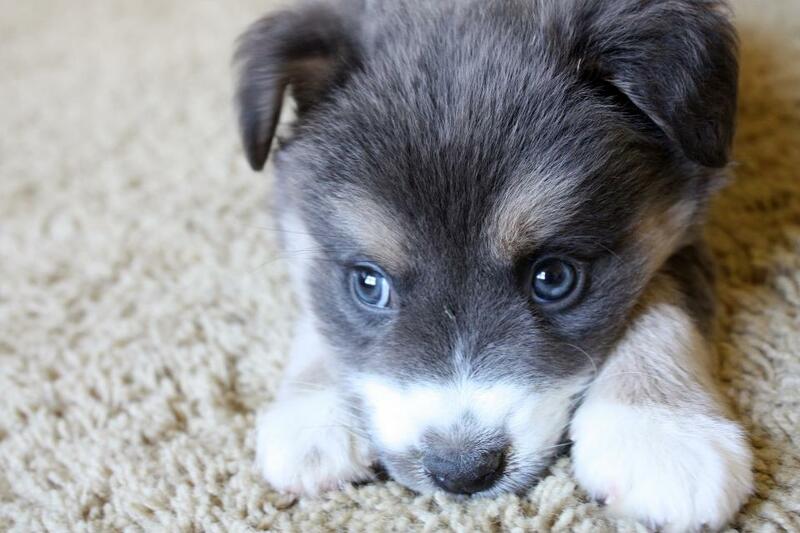 For prices that begin around 60 dollars, you can order a sample collection kit from the wisdom panel to find the breed of your dog. The panel will then identify your dog’s ancestry up to its great grandparents. It works by looking at your dog’s DNA and identifying certain genetic markers that match an established database of those same markers which appear in other dog breeds at different frequencies. The greater the number of markers, the more accurate the test. Since Wisdom Panel has been doing it the longest and has the largest database, they are assumedly the industry leader for this process. While the information is fascinating, it serves little more than an informational and entertainment purpose. You can’t use these genetic analyses to determine potential health issues for your pet, nor does it serve any other particularly practical purpose. It’s just to sate curiosity and fuel conversations. 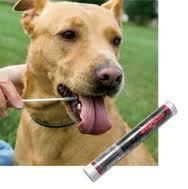 It’s basically a novelty purchase for pet lovers, and because we love our useless novelties, it’s a popular one too. Once again, these tests are basically just for fun. No medical information can really be inferred, and you won’t be able to certify your dog as purebred, (that can only be done an official kennel club, and it isn’t cheap.) However, you definitely can use these test to settle a silly argument or bring up a bit of interesting water cooler talk at your earliest given opportunity.